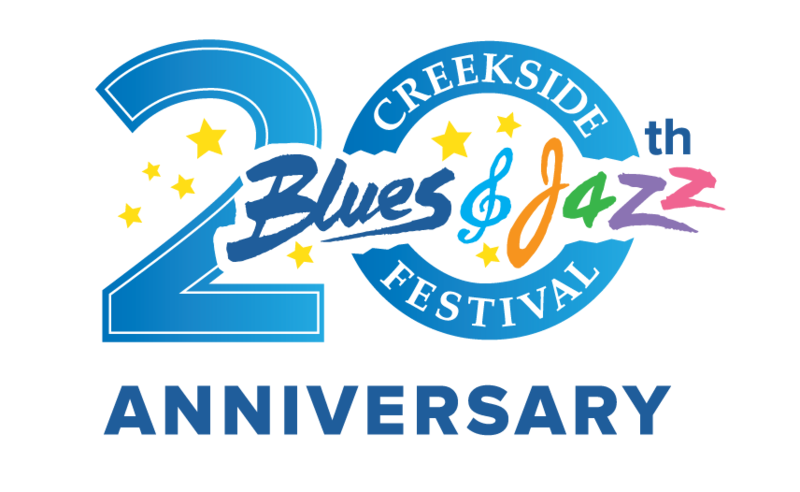 The Creekside Blues & Jazz Festival (“CBJF”) is a premier family event destination! The Festival is a three-day cultural event that features more than 90 hours of world-class music on five stages, mouth-watering cuisine, regional artisans, amusement rides, family activities and more! Known as the showcase for the “best blues and jazz music in Ohio,” the Creekside Blues & Jazz Festival (“CBJF”) is a premier family event destination. First held in 1999, the CBJF began as a half-day event to commemorate the opening of Gahanna’s Creekside Park and the revitalization of the downtown Gahanna area. Today, the Festival is a three-day cultural event that features more than 90 hours of world-class music on five stages, mouth-watering cuisine, regional artisans, amusement rides, family activities and more. Each June, more than 35,000 people from across Ohio and the U.S. travel to Gahanna to experience a weekend of first class music, food, community, and fun. One of the greatest allures of the CBJF is its unique setting. Located along the picturesque banks of Creekside Park and in the heart of Gahanna’s vibrant Creekside District (117 Mill St. in Gahanna OH 43230), the CBJF has the feel of a small-town festival yet offers attendees unrivaled amenities. Whether it’s listening to the hottest bands while enjoying a relaxing paddleboat ride down the creek, taking a break from the crowd and enjoying a delicious dinner at one of the several restaurants located within the festival grounds, participating in tasting experiences, or making crafts with the kids in the Family Fun Zone, the CBJF has something fun for everyone. Programmed and presented by the Gahanna Convention & Visitors Bureau, a 501(c)(6) not-for-profit destination marketing organization, the CBJF would not be possible without the help of our generous festival partners, who provide support for the event through financial sponsorships as well as through their sharing of valuable volunteer hours. Thanks to their partnership and patronage, the CBJF has become a time-honored tradition of music excellence, family fun and treasured memories for thousands.